We made this recipe as our main entree for dinner, although, this could easily be a nice side dish! 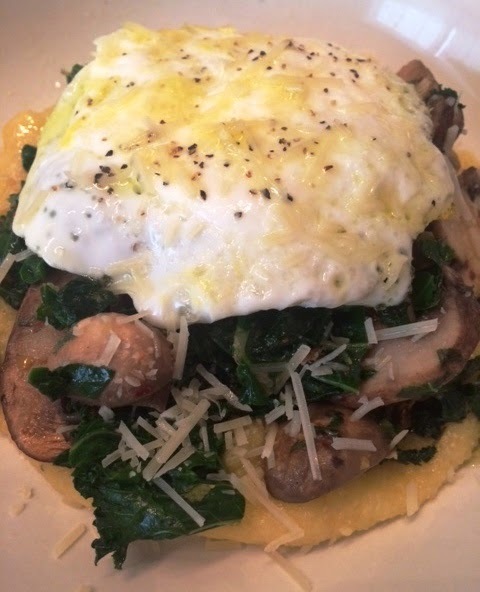 Ingredients include: polenta, mixed mushrooms, young greens (like spinach, kale or pea shoots), flat-leaf parsley, garlic, lemon zest, extra-virgin olive oil, butter, salt & pepper, mascarpone cheese. Easy and healthy. Another vegetarian dish!